When will be Squidbillies next episode air date? Is Squidbillies renewed or cancelled? Where to countdown Squidbillies air dates? Is Squidbillies worth watching? 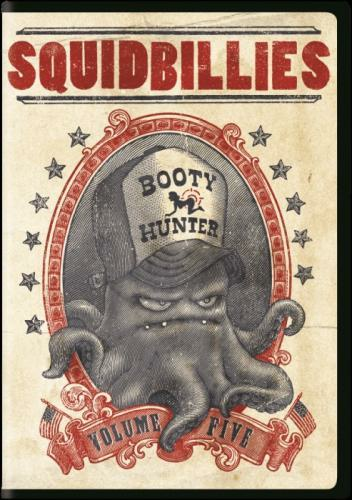 Squidbillies is an American animated television series on Cartoon Network's late night programming block, Adult Swim. An unofficial pilot for the series aired on April 1, 2005; the series later made its official debut on October 16, 2005. The series is about the Cuyler family, an impoverished family of anthropomorphic hillbilly mud squids living in the Georgia region of the Appalachian Mountains. The series revolves around the exploits of an alcoholic father (Early), who is often abusive in a comedic way towards his family. His teenage son, Rusty, is desperate for his approval; his mother, known in the show as Granny, is often the center of his aggression; and Lil, his sister, is mostly unconscious in a pool of her own vomit. Squidbillies next episode air date provides TVMaze for you. EpisoDate.com is your TV show guide to Countdown Squidbillies Episode Air Dates and to stay in touch with Squidbillies next episode Air Date and your others favorite TV Shows. Add the shows you like to a "Watchlist" and let the site take it from there.